Model 1903 Pocket Hammer serial number 46571 - Pistol features standard blued finish and factory flush medallion ivory grips. 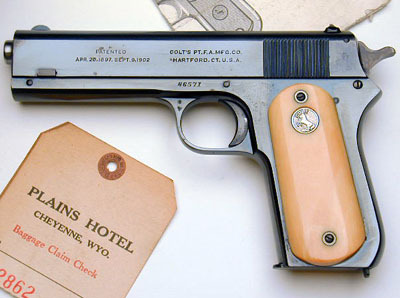 This pistol was a single gun shipment, shipped with blued finish and ivory grips, to Smith and Bishell on July 1, 1926. 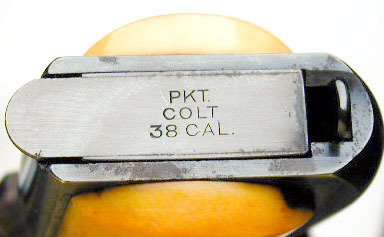 Work was processed on Colt factory order number 11668. 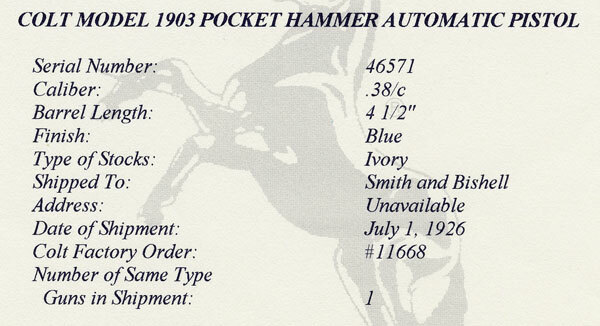 Factory ledgers indicate that just 12 1903 Pocket Hammer models were shipped with factory ivory grips. This Colt was located in El Paso, Texas. 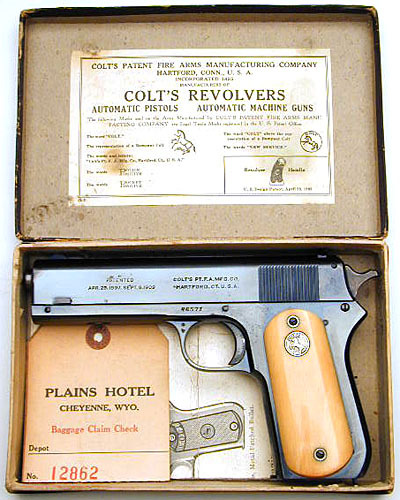 With factory cardboard box, instruction sheet and claim check for the Plains Hotel, Cheyenne, Wyoming. 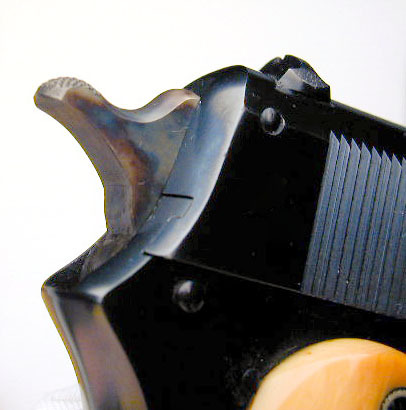 Close-up of late spur hammer. Hammer retains most of its original case colors. End labels of factory box. Close-up of markings on magazine floorplate.